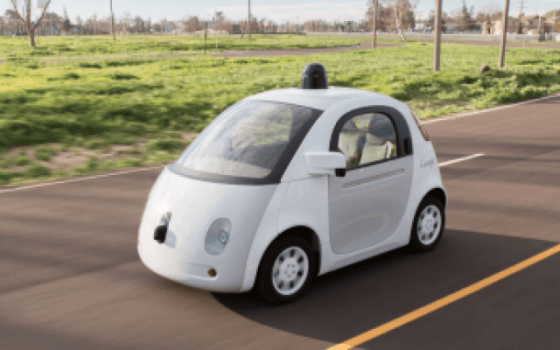 Group Discussion Ideas > General GD Topics > Should Driverless cars be allowed in India? The history of driverless cars goes back to 1478 when Leonardo da Vinci designed the first prototype, Leonardo’s car was designed as a self-propelled robot powered by springs, with programmable steering and the ability to run pre-set courses. Globally experiments are going on autonomous cars, which are also known as driverless cars or self-driving cars. These cars are capable of sensing their environment and navigating without human input. Mr. Nitin Gadkari, the Road and Transport Minister of India recently said that he won’t allow Driverless cars in India as it will create joblessness, instead, India will focus on Training drivers of adequate skills that will create 50 lakhs jobs and also aims to improve the public transport in the country. Estimates suggest nearly 80 percent of car crashes are due to human error. Therefore, this technology is much needed in a country like India. Driverless cars use a complex algorithm which can help in reducing the traffic and as well reduce the accidents in the world and in India as well. This could be used by the impaired or handicapped people to drive safely on the roads and won’t have to depend on anyone. 30% of the driving licenses given to Indian drivers are bogus, which makes the traffic conditions worse. Therefore, autonomous cars could be a way to solve this problem. Majority of driverless cars are going to be Electric Vehicles (EV’s) which will help in decreasing the pollution level in the country, which is also one of the major issues the country is facing. These cars could also prove as a safer means of transportation regarding the women’s safety in India. If this technology comes to India this can be used for a variety of other purposes also such as delivery or pickup service, which will also save time. From cows, camels and elephants to auto-rickshaws, rickshaws, hard-carts, trucks and cycles, the traffic on Indian roads are more diverse than anywhere in the world. Therefore, no technology can face the challenges a driver faces on Indian Roads. This new technology is going to be costly and out of the reach of average Indians, making it as a status symbol for the few thus enlarging the gap between the rich and the poor. In case of traffic jams or traffic light failure, traffic police officers direct the traffic but in this case, these cars won’t understand the human signals which will make it difficult to control the traffic, especially when these cars are going to be driven in conjunction with conventional vehicles. These cars would also require human monitoring at some level. It would have an impact on the business of the insurance companies as the number of accidents will decrease. 40 percent of their business comes from motor accidents. New service stations will be needed to be set up for the maintenance of these cars hence, increasing the costs. Furthermore, this technology can have a negative effect on the employment problem of the country. Take, for note, the problem of the car drivers. Currently, Uber, Ola, and similar taxi services remain as a source of employment. Once the autonomous taxi services become mainstream, these companies will have a tendency to shift towards them for they will be cost-friendly and safer. Seeing the traffic signal malfunctions are common on our roads. From the practical and economic point of view, driverless cars are clearly not the right option for India at the present time. In a labour intensive economy like India, where the percentage of the working population, especially unskilled labour is high, we cannot afford to introduce technology that will harm their chances of employment. Using driverless cars will impact the economy negatively in many ways. Driverless car seems impossible now in a country like India but with the technological advancement, we may be able to see these cars in India soon.